Companies that undertake major leadership changes tend to engage in one of the more cryptic rituals of expression known to humankind. They issue a CEO-departure press release. In often clichéd and convoluted language, they say executives decided to leave to pursue other opportunities or to spend more time with their families, statements that are sometimes taken as code for firings. 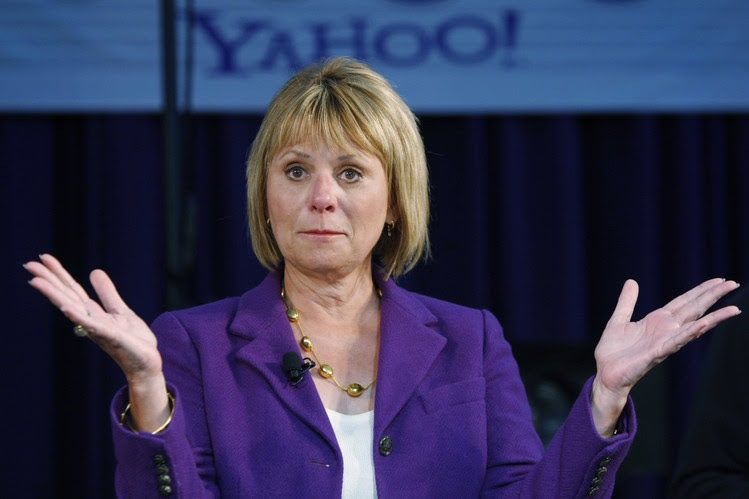 When a release waxes poetic, it can suggest a CEO quit by choice. Because company boards and communications teams rarely disclose details about what happened—whether for legal or face-saving reasons—investors have become accustomed to being left in the dark. Daniel Schauber had a different reaction. As an amateur linguist who researches corporate-management changes, he didn’t just throw up his hands. He wrote an algorithm. The 46-year-old German, who founded a Frankfurt-based research firm, Exechange, has emerged as a cryptologist of top executive departures. By analyzing company announcements and other data, his proprietary formula produces a “Push-Out Score” ranging from zero to 10. A zero indicates a completely voluntary departure, and a 10, an explicit ouster. In April, when Arconic Inc. announced that then-CEO Klaus Kleinfeld was stepping down by mutual agreement after he sent an unauthorized letter to an activist investor that the board determined showed poor judgment, Mr. Schauber’s formula gave his exit a maximum score of 10. Arconic declined to comment on the score, and Mr. Kleinfeld couldn’t be reached for comment. On the other end of the scale, Rex Tillerson’s decision to leave Exxon Mobil Corp. to become secretary of state in Donald Trump’s administration generated a Push-Out Score of zero. More often, the score ends up somewhere in between, suggesting some signs of pressure on an executive to go. Therein lies Mr. Schauber’s challenge. 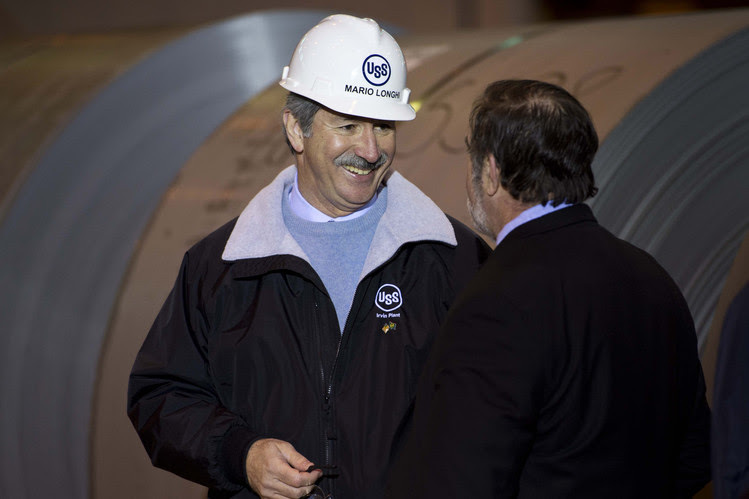 When Mario Longhi recently retired as CEO of U.S. Steel Corp., the company’s written statement offered no information about his plans and didn’t express regret over his departure, adding a point to his score. So did the announcement’s timing—two weeks after the steelmaker’s stock price plunged on an earnings miss. It didn’t help that Mr. Longhi relinquished the post two days before the May 10announcement. Nevertheless, the statement included praise from the chairman for Mr. Longhi’s service and allotted the departing executive 65 words to reflect on the progress the company made during his tenure. These clues, in addition to his age, 63, kept the score from climbing higher. Mr. Longhi’s final Push-Out Score: 5. Mr. Schauber says he became interested in the subject during his university years studying linguistics and literature. While examining the works of Goethe, among others, he started collecting and poring over seemingly formulaic corporate announcements. 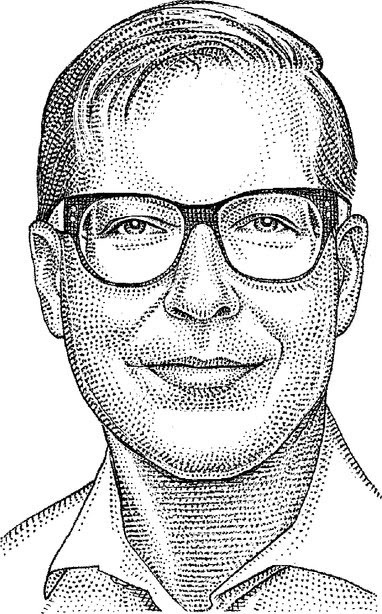 Mr. Schauber, who also is an editor at the German financial newspaper Börsen-Zeitung, says Exechange’s clients include executive recruiters and investors—particularly those interested in smaller companies whose management changes get little or no press coverage. Fuzzy language such as “decided to leave the company,” or omissions, such as words of appreciation but no praise for concrete successes, add to the Push-Out Score. So does quick departure timing, such as “effective next week,” or statements that don’t mention a permanent successor. If a departing CEO is under 60 and no concrete plans or new job is mentioned, that also adds to the score. Mr. Schauber acknowledges that executives sometimes step down for different reasons altogether, despite a high number of possible push-out factors. The reverse also is possible. In February, when CSXCorp. announced that longtime CEO Michael Ward had decided to retire, his departure scored a relatively low 4. That was partly because of his age, 66, a notice period of more than three months until his retirement, a recent run in the share price and the praise the board heaped on him in the statement. Mr. Ward had delayed earlier plans to retire when CSX’s then-president left in 2015 to become CEO of another company. Yet the move came amid a public campaign by activist investor Mantle Ridge LP to install railroad veteran Hunter Harrison in the top spot. Two weeks later, the company announced Mr. Harrison as its new CEO. Both CSX and Mr. Ward declined to comment. Occasionally, Mr. Schauber is stumped. He stays away from scoring resignations attributed to “health reasons” because of the complex, unknown issues involved. At times, companies and executives have disputed his analysis or asked him to remove it from his website. He says he has never changed a score and would do so only if it had been based on incorrect data. Some CEO departures need no decoding. In 2013, Groupon ’s then-CEO Andrew Mason announced his ouster in a staff memo. “I’ve decided that I’d like to spend more time with my family. Just kidding—I was fired today,” he wrote. Mr. Schauber says he often thinks about how his own departure statement might read. He isn’t sure how clear-cut he would want to be. “Of course, I’d like to be sitting in the driver’s seat in making the announcement,” he says.